Is it just me, or do you get a funny after taste when you bite into a store-bought chip out of a plastic bag? To overcome the flat taste, we usually dip the chip in some salsa, which does hide that blah taste we’d rather not have sitting on the backs of our tongues. 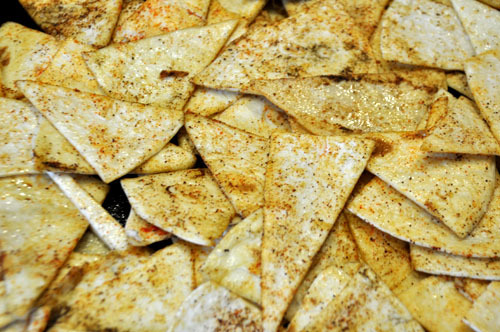 Real chips leave no such baggage on our tongues, and can stand on their own, without salsa. And no, they are not that difficult to make — and even better, you don’t need to have them “spread out in one even layer” for this recipe to work. It’s pretty much fail-proof. 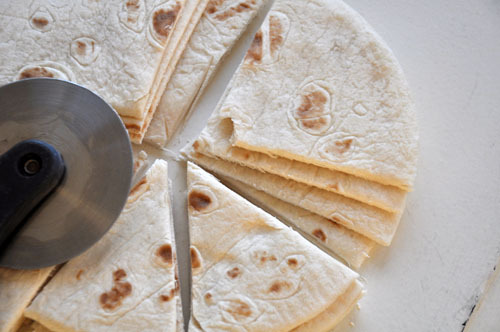 Take a stack of tortia shells, and cut them into triangles with a pizza cutter. Pour on some olive oil on top, and sprinkle with your favorite spices. I always use paprika, and salt. From there I vary the spices to include pepper, chili powder, thyme or rosemary for a savory chip. For fun, of course, you could always mix cinnamon with sugar!!! 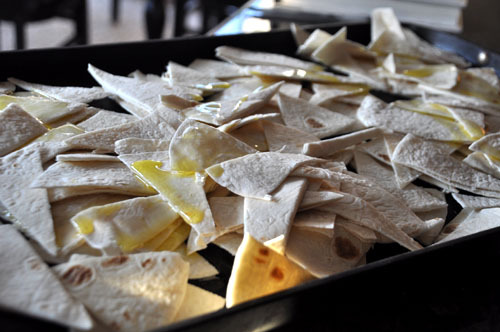 Mix the chips, olive oil and spices over the chips with your fingers until everything looks evenly distributed. Place in oven and bake for about 5-10 minutes, checking to see of chips are “dried.” You’re essentially just baking out the moisture of the tortia shell. 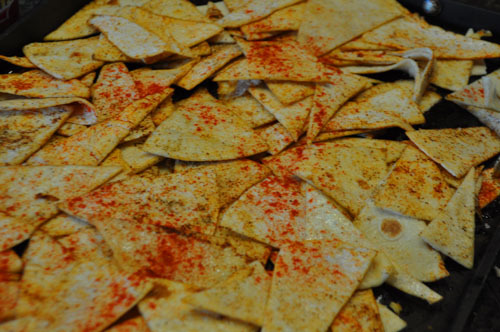 Turn chips with a spatula and bake five more minutes. Watch them closely on this last round. Depending on the shell, they could be done in five minutes, or ten. Have You Introduced Yourself to Arthur Geisert?